Make the paste by putting all the ingredients in a food processor and whizz it up until smooth. Cover the turkey in the paste and using a little oil fry until the turkey is cooked. Note if you are using leftovers do not add the turkey at this stage, add it right at the end. Add the lemongrass and lime. Add the chicken stock on a medium heat and give your curry a good stir. Add the coconut milk and bring to the boil. Turn the heat down and simmer for 20-30 minutes. If you are using leftover turkey add it 10 minutes before the end. 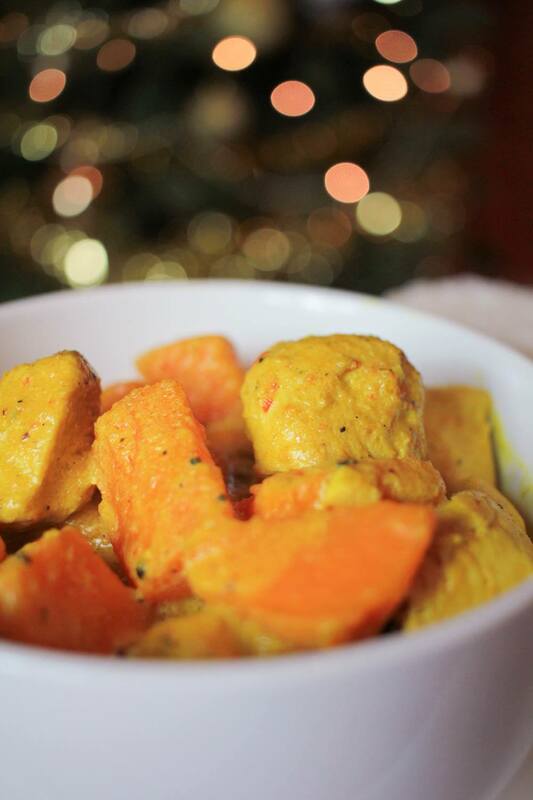 While your curry is simmering away peel your sweet potato and cut up into cubes. Boil for 5-7 minutes until soft. Add them in a few minutes before your curry is done. Serve your curry with Jasmine rice and prawn crackers. Enjoy!